Half-Life‘s reputation within the PC gaming community is akin to that of a messiah: fourteen years ago, its first iteration came and delivered us from first-person shooters with poor storytelling and enlightened the game development community to the work that can be done by scripted sequences without taking control away from the player. Since then, in spite of its second coming(s) in Half-Life 2, Half-Life 2: Episode One and Half-Life 2: Episode Two, fans continue to bray for more of that which broke the genre’s mould all that time ago. 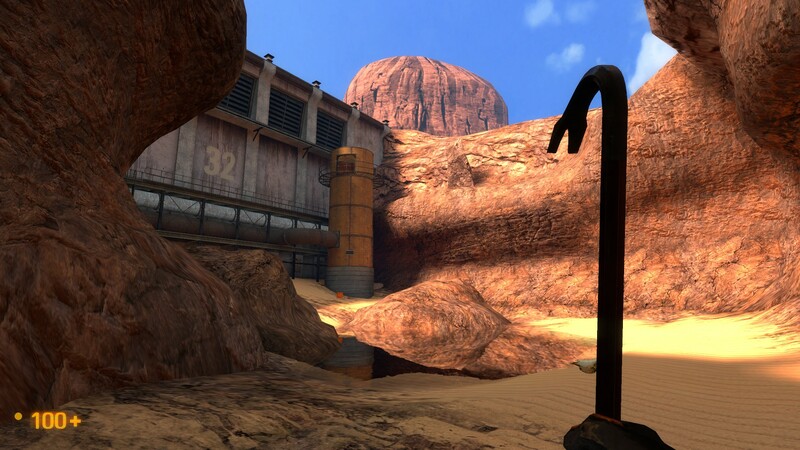 Black Mesa (formerly Black Mesa: Source) is the eight-year collaborative effort of a forty-strong team to update the graphics and the gameplay to more modern standards and provide fans with the experience in Half-Life‘s universe that they so desired. Black Mesa‘s updates to the original Half-Life and even when compared to Half-Life: Source are stunning. Of course, Half-Life has already seen an official port to Valve’s Source engine, and as such the necessity of the amount of effort that has clearly been expended in the development of Black Mesa may be questioned. In this particular port, however, this team of volunteers have seen fit to make changes to the elements of the original game deemed fine to be ported straight into the newer version by Valve. Many of the character and enemies designs have been taken back to the drawing board and given a makeover both cosmetically and in terms of their behaviour. Of all of the graphical assets in the game, only three models have made it into Black Mesa unchanged from their Half-Life 2 appearances: the headcrab, barnacle and the leech. Given the number of scientists, securities guards and enemy types in the original game, this is no small feat that has been undertaken by the developers. This expended effort is by no means wasted: the game is visually and aurally stunning. The advanced shading capabilities of the Source engine have been fully taken advantage of, and the new models make enemies and backdrops appear even better than they did even in Half-Life 2, with the motion of everything in game being more believable than it was prior. The facial animations of non-player characters, such as the security guards and scientists, and even the human enemies, have all had attention pored over them and the level of immersion afforded to the player by the game benefits immensely for this seemingly small touch. The physics engine in Source has not gone untapped either: the breaking of boxes with the series mainstay that is the crowbar is now more realistic, and during the platforming sections of the game, suspended platforms swing in line with conservation of momentum and, again, immersion benefits. The only complaint that must be made of the game’s graphics is that areas of white, such as the coats of scientists, tend to have an unsightly and distracting halo around them. The abilities are the Source engine are made full use of. The sound of the game is also much improved: all of the game’s dialogue has been re-recorded and is remarkably faithful to the original and side-steps the potential for becoming a parody of the original by overreaching for the original sound. Voices are much clearer than they were originally, and the delivery may in fact be better than in the original game. The music has also been reworked, having a far more grand feel than its reference material. 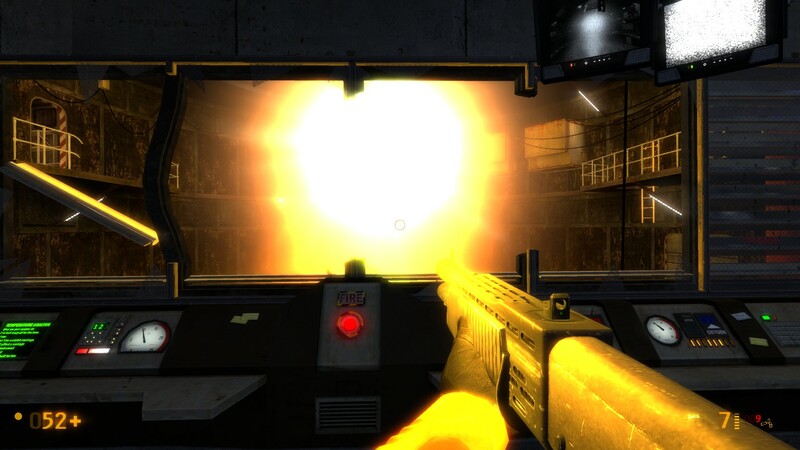 It is not merely the surrounds, character models and sounds that have seen an update: Black Mesa also plays in subtly different ways to the original. The thing that is apparent rather early on is that the Houndeye actually poses a threat now: even as the things charge up to attack, the increase in their luminosity of their bioluminescent stripes is enough to mark a departure from the original game. They are smarter and have more powerful attacks which, if one does not realise this change from the first game, may catch one out more than once. The AI of the enemies has also been worked over, the Houndeyes now work in packs and the HECU marines work together more effectively. These tweaks make for a game that is more challenging and more conducive to rewarding strategic play. The way in which puzzles work within the game has also changed: where puzzles used to be merely a case of finding a brightly lit switch and pressing it, many of these have been replaced by puzzles in which one must find a component of a switch and then take it to the switch itself and trigger it. This does mean that there is somewhat more challenge in these parts of the game, but it is also a violence to the spirit of the original game – the puzzles in this new form can do a lot to slow down the pace of the game if the player does not expect this sort of task, a slowing down of pace that the original did not do, and a change in gameplay that punishes longstays of the franchise who would look to apply theirHalf-Life knowledge to its reimagining. The scenery in the game is nothing short of stunning. 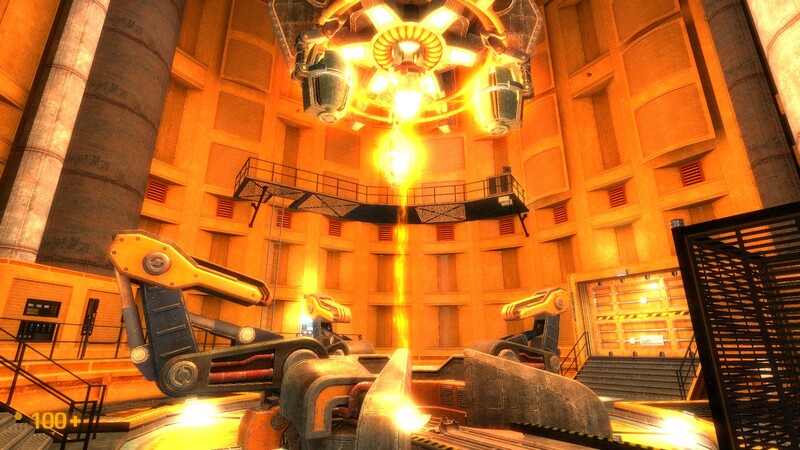 Black Mesa does exactly what it seeks out to do: it is a for-the-most-part faithful reimagining of Gordon Freeman’s traversal through the Black Mesa facility. When the levels that take place on Xen are completed, there is no doubt that it will be a complete reimagning of that journey. The fourteen years since its initial release, however, have not been kind to the gameplay formula of Half-Life: the platforming sections vary between simple and punishingly unfair, the gunplay is simple in comparison to modern first-person shooters, the majority of the exposition of the story occurs during one chapter around half-way through the game and the player is given very little, if any, direction as to his objectives within a certain passage of play. Of course, complete hand-holding of the player to the point of turning the game into an on-rails experience is equally a bad thing, but the chapter Residue Processing provides the player with not even the smallest inkling of what they are doing or why. While Half-Life may have set hearts alight with its narrative structure all that time ago, things have moved on once again. Black Mesa is definitely worth a visit merely to see how well realised it is as a reimagining of a game world previously explored, but the gameplay and story themselves have aged terribly.